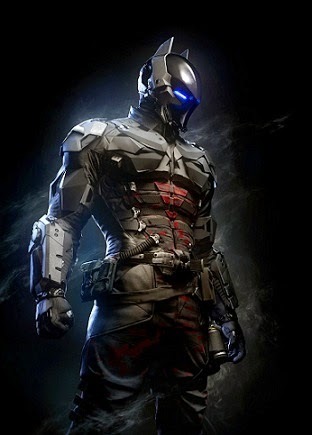 Today we get a good look at the title character from the next Rocksteady Batman game-Arkham Knight. Previously all we saw were vague and shadowy outlines, but now we get a full picture reveal of the villain's suit. As seen, it's a very militaristic suit quite like Batman's, and it seems to have some good tech around the eyes. I really like the deliberate Batman-esque design. It makes me think it might be someone out to sully the good Bat's name. Someone with enough money or connections to create a suit to go toe-to-toe with the Dark Knight himself.